What are the three secret ingredients to a winning team? Here’s a hint: talent isn’t one of them. 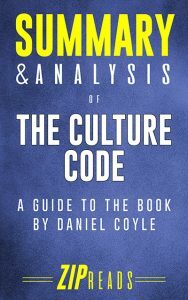 Author Daniel Coyle shares his secrets to creating a successful organizational culture. Drawing from various examples, Coyle shows that everyone–from companies to comedy troupes–can have success with three simple conditions. What does this ZIP Reads Summary Include? Daniel Coyle’s The Culture Code: The Secrets of Highly Successful Groups asks the question, “What characteristics do successful organizational cultures share?” After conducting research of his own, Coyle finds that there are commonalities between groups as different as movie studios, jewel thieves, shoe companies, and basketball teams that make all of these groups among the best in their respective industries. It turns out that the most successful groups are not necessarily the smartest, biggest, or best equipped. A highly approachable read rich in insight, Coyle’s book is a guide that will prove valuable to any grouping seeking to create a more productive, enjoyable culture. 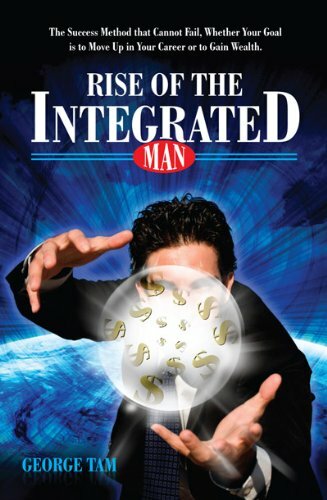 Why read The Rise of the Integrated Man? Do you feel like you cannot cope with the changes and stresses of modern life? Do you find it hard to balance your work life with your personal life? This book could be the solution you’ve been seeking. How? By taking the best out of 6,000 years of eastern philosophy stemming from the principles of Tao and merging that with effectiveness in work and life based on scientific research in the West. It’s the gift of being in the now and remaining effective. The author reveals proven methods that incorporates over 30 years of personal wisdom gained from studying and applying principles from both the West and East. This is a self-help book that is applicable for anyone looking for more success and balance in their career. Whether you are a young graduate, a working person, an executive manager or an entrepreneur, this book will help you learn how to achieve more with less by being in the Tao, or the flow of nature.